griculture began in the fertile crescent some 11,000 years ago and had spread to the Nile Valley by 9,000 years ago. The Nile’s rich agricultural lands quickly led to the development of a complex society within Egypt, and by 5,400 to 5,000 years ago large organized kingdoms formed into the First Dynasty. Ancient Egyptian civilization lasted for nearly 3,000 years, with a succession of dynasties ruling up until 525 BC, when foreign rulers took control of the region, including the Persian Empire, the Greeks, and Romans [1-2]. The dynastic rule of Ancient Egypt has been broken into several major stages. These include the Early Dynastic Period, the Old Kingdom, the Middle Kingdom, the New Kingdom, the Kushite Kingdom, and several intervening intermediate periods . The Early Dynastic period saw the unification of upper and lower regions of the Nile into a single state. 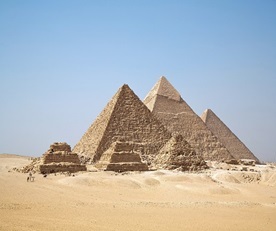 The period that followed starting in 2,686 BC is known as the Old Kingdom and was when the pyramids were built. The Old Kingdom suddenly collapsed in 2,160 BC when a major drought meant the Nile failed to flood for 30 years [4-5]. After recovering from this disaster, the New Kingdom period, which lasted from 1550 BC to 1077 BC saw Egypt at the peak of its power and included the reigns of Pharohs Ramesses I and Ramesses II . This period too ended with instability caused by drought and civil unrest. The final period of Ancient Egypt began with new rulers coming from what is present-day Sudan, known as the Kingdom of Kush and involved wars with the Assyrians . The last kingdoms of Ancient Egypt, and the last period in which the regions rulers were of Egyptian origin were the 25th and 26th dynasties [1-2]. The 25th dynasty started as a set of rulers that had their origins in what is present-day Northern Sudan. They were able to reunify all of the regions of the Nile after a period of instability following the New Kingdom . They found themselves often at war with the Assyrians, who were a Mesopotamian Kingdom that attempted to invade Egypt. The Assyrians eventually did manage to topple the Kushite state and installed a local puppet leader, but power eventually returned to local control under the 26th Dynasty of Egypt . The 26th dynasty fell with the invasion of the Persian Empire in 525 BC. Conquest by the Persian Empire ended local Egyptian control [1-2] in 525 BC. Egypt remained under their control until the 4th century BC when a series of conquests by Alexander the Great dramatically redrew the map of the Eastern Mediterranean. Alexander the Great was a Hellenistic ruler who is considered one of the world’s most successful military commanders and managed to defeat the Persian Empire and conquer lands as far east as India [3-4]. His invasion of Egypt brought the country under Greek control, and upon his death in 323 BC, power passed to the first of the Greek Ptolemaic rulers, Ptolemy I Soter. The Ptolemies renamed themselves as Pharaohs and participated in Egyptian religious traditions in a successful attempt to gain favor with the local population. Their rule of the country lasted for some 300 years , ending with Roman invasion in 30 BC when Cleopatra, their last monarch, committed suicide . The capital of Ptolemaic Egypt was Alexandria, which went on to become a major trading port. The city is also famous for its library, which was funded by the Ptolemaic kings and turned Alexandria into a major centre for learning . Contrary to popular belief, the library was not burned in a single event, and was not housed in a single location. It declined in the later part of Ptolemaic rule and eventually its scholars and texts became dispersed after the start of Roman rule . 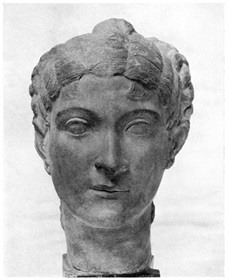 The late Ptolemaic ruler Cleopatra was significantly engaged in Roman diplomacy and civil conflicts. She had an affair with the Roman politician and general Mark Antony, having several children with him and funding his conquest of the Parthian Empire . Internal Roman political conflicts left Mark Antony marginalized by his opponent Octavian, and upon his and Cleopatra’s death by suicide in 30BC, the Ptolemaic kingdom was taken over by direct Roman rule . The Nile delta of Egypt was an agriculturally fertile region and was a major source of grain for the Roman Empire . The province was the richest in the Eastern Mediterranean and experienced migration from different regions of the empire . The site of Abusire el-Meleq was used as a burial site for the ancient Egyptians starting from 3,250 BC and was connected to the cult of Osiris . It was inhabited until post-Roman times, spanning more than 3,000 years, and may be one of the best representatives of population change throughout Egyptian history [10-12]. The site likely experienced immigration from Greece during Ptolmeic times [13-14]. Roman soldiers were known to have settled in the area after completing service and likely intermarried with local Egyptians, with evidence for Latin, Greek, and Hebrew names found on coffins from the site . The site is located 95 kilometers (59 miles) south of the city of Cairo not far from the Nile. Ancient DNA taken from individuals at this site were dated to two different time periods, one being between 776 and 560 BC in the time of the Kushite period , while the other was between 97 BC and 2 BC  near the end of the Ptolemaic period. Excavations were carried out in the early 20th century by Otto Rubensohn, a German Archaeologist. His focus had been on papyrus scrolls and other objects, and there were poor records of the excavation of human remains . The site included high status burials and in this later period of Ancient Egypt, served as an alternative to burial sites near the pyramids. Genetic analysis of ancient Egyptian samples has shown that they had strong affinities with populations in the Levant and Middle East, with only a small contribution from other African gene pools . This was also observed for the individuals at Abusire el-Meleq , who were closely-related to ancient farmers that had spread out of the Levant region and into Egypt 9,000 years ago. Analysis of Ptolemaic Egyptians has also shown that they were closely-related to earlier Ancient Egyptian samples, and that there was significant genetic continuity at the site despite hundreds of years of foreign rule, with the Persians, Greeks, and Romans having controlled Egypt for hundreds of years prior to this individual’s birth. It has been suggested that the influence of the Greeks may have been felt further north, but the level of foreign genetic contribution to individuals at this site would have been limited . The Ancient Egyptian individuals belonged to the Y chromosome J haplogroup which is common throughout the Middle East and Europe today. It likely arrived in Egypt through the spread of agriculture . Mitochondrial haplogroups M1 and J were found in these individuals. Haplogroup N1 is a very ancient lineages related that is mostly found in Asia today and likely originated in the Paleolithic [16-17]. Mitochondrial haplogroup J is relatively common in Europe and the Middle East today, and likely also spread with the appearance of agriculture into North Africa. It has its origins in the Paleolithic, potentially in the Caucuses . 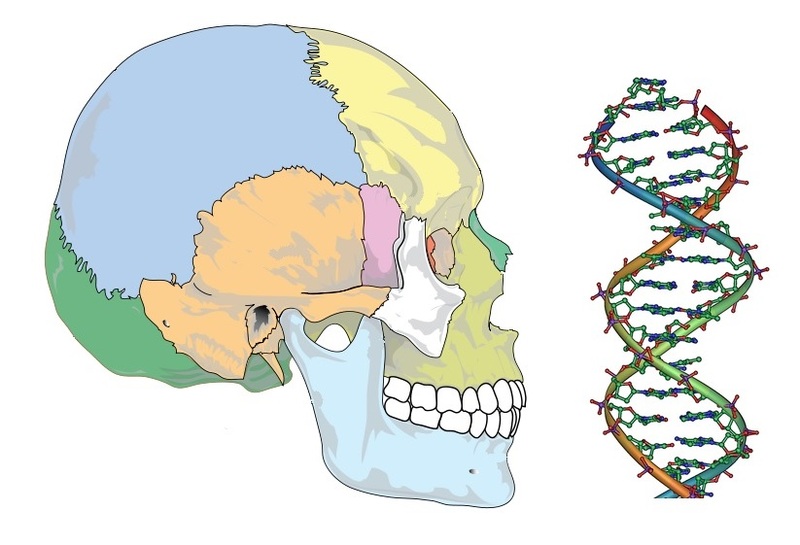 The Ptolomeic individual analyzed from this site was male and belonged to the Y chromosome E1 haplogroup, which is primarily found within Africa today. Its origins are in Africa or West Asia and is common in this region [19-20]. His mitochondrial lineage belonged to the U haplogroup, which was the most common haplogroup among European hunter-gatherers of the Paleolithic and still exists across Europe and the Middle East today . 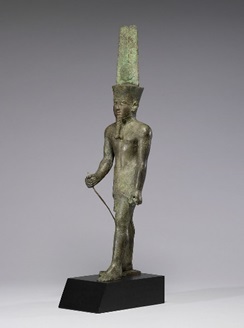 This individual specifically belonged to the U6 lineage, which was common among early Levantine populations and likely arrived in Egypt with the spread of agriculture . Kemp B. 1989. Ancient Egypt: anatomy of a civilization. Routledge: London. Allen R. 1997. Agriculture and the origins of the state in Ancient Egypt. Explorations in Economic History 34: 134–154. Grimal NC, Shaw I. 1992. A history of Ancient Egypt. Blackwell: Oxford. Bell B. 1971. The Dark Ages in ancient history: The first dark age in Egypt. American Journal of Archaeology 75: 1– 25. Stanley J-D, et al. 2003. Nile flow failure at the end of the Old Kingdom, Egypt: strontium isotope and petrologic evidence. Geoarchaeology 18: 395–402. Welsby DA. 1998. The Kingdom of Kush: The Napatan and Meroitic Empires. Markus Weiner Publishers: Princeton. Torok L. 1997. The Kingdom of Kush. Brill: Leiden. Kahn D. 2006. The Assyrian Invasions of Egypt (673-663 B.C.) and the Final Expulsion of the Kushites. Studien zur Altägyptischen Kultur 34. 251-267. Riggs C. 2005. The Beautiful Burial in Roman Egypt: Art, Identity, and Funerary Religion. Oxford University Press: Oxford. Rathbone DW. 1990. Villages, land and population in Graeco-Roman Egypt. Proceedings of the Cambridge Philological Society 36: 103–142. Alston R. 1995. Soldier and Society in Roman Egypt: A Social History Routledge: London. Clarysse W, Thompson DJ. 2004. Counting the people in Hellenistic Egypt. Cambridge University Press: Cambridge. Pagani L. et al. 2015. Tracing the route of modern humans out of Africa by using 225 human genome sequences from Ethiopians and Egyptians. American Journal of Human Genetics 96: 986–991. Semino O, Magri C, Benuzzi G, Lin AA, Al-Zahery N, Battaglia V, Maccioni L, Triantaphyllidis C, Shen P, Oefner PJ, Zhivotovsky LA, King R, Torroni A, Cavalli-Sforza LL, Underhill PA, Santachiara-Benerecetti AS. 2004. Origin, Diffusion, and Differentiation of Y-Chromosome Haplogroups E and J: Inferences on the Neolithization of Europe and Later Migratory Events in the Mediterranean Area. The American Journal of Human Genetics 74: 1023-1034. Schuenemann VJ, et al. 2017. Ancient Egyptian mummy genomes suggest an increase of Sub-Saharan African ancestry in post-Roman periods. Nature Communications 8: 15694. Rajkumar R, Banerjee J, Gunturi HB, Trivedi R, Kashyap VK. 2005. Phylogeny and antiquity of M macrohaplogroup inferred from complete mt DNA sequence of Indian specific lineages. BMC Evolutionary Biology 5:26. Fu et al. 2016. The genetic history of Ice Age Europe. Nature 534: 200–205. Underhill PA, et al. 2001. "The phylogeography of Y chromosome binary haplotypes and the origins of modern human populations". Annals of Human Genetics. 65: 43–62. Chandrasekar S. et al. 2007. YAP insertion signature in South Asia. Annals of Human Biology. 34: 582–586. Maca-Meyer N, González AM, Pestano J, Flores C, Larruga JM, Cabrera VM. 2003. Mitochondrial DNA transit between West Asia and North Africa inferred from U6 phylogeography. BMC Genetics 4:15.